When is an artist album not exactly an artist album? When, for that matter, is a mixcomp by no means a straight-forward mixcomp!? 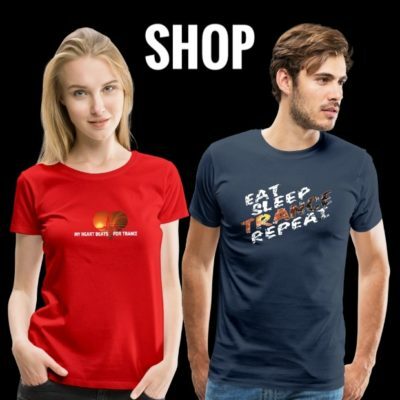 Well, for one, when Subculture does them! 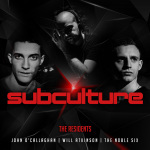 For their upcoming long-player, the label has rolled the central elements from both mediums into one compelling collection, meaningfully and emphatically titled ‘Subculture’. 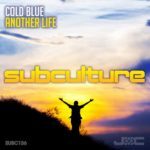 Highlighting two of the distinct tones of the label’s range, the album is co-helmed by head-honch John O’Callaghan and one of the scene’s biggest 2017 breakouts, Cold Blue. Both have used its occasion to put their own production material on the frontline of its mixes. So often the mainstay of their sets, across its 29 tracks, no fewer than 19 first gleamed from the DJs’ own studios. In doing so, it offers not only the most authentic of representations of their sets, but also as producers in their own right. Filling in further Subculture shades from their significantly broad palette, you’ll find music from many others from their cadre. 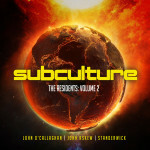 Giuseppe Ottaviani, Temple One and Craig Connelly are just some of the Subculture-ists whose work features significantly. Further in you’ll also find music other attuned trance operators – David Forbes, Sied van Riel, Liam Wilson, Alex Di Stefano among them. First to the decks is the Subculture kingpin himself, O’Callaghan. In primetime mode from its embarking beat, JOC gets into the thick of it with a swathe of his own material. Included amongst are upcoming single ‘Choice of the Angels’, album-premiering ‘Permutations’ and Giuseppe Ottaviani’s freshly juiced spin on the classic ‘Out Of Nowhere’. Temple One’s made sizeable waves for the label over the past 12 months. Reflecting that in sharpest possible focus, John works Temple’s ‘Encounter’, ‘Sun After Rain’ and ‘Reaching For A Dream’ into the mix. Two of Craig Connelly’s productions strike in succession at the midpoint with ‘A Reality’ and his latest ‘Lost Without You’. Sied van Riel and Giuseppe Ottaviani meanwhile edge the mix-needle ever closer to the red with (respectively) ‘Hold Me Close’ and ‘Till The Sunrise’. It’s John’s own production hand that deals the disc its final coup-de-grace. In convoy, you’ll find current single ‘Next Stop Muddy Waters’, built-for-the-album ‘Requiem For An Angel’ and Stine Grove’s seraphim toned ‘Our Destiny’ – collectively bringing it to its zenith. Now, if all that isn’t a quite, quite enough of a concentrated artistic dose for you, just wait and see what see Tobias Schuh has in store. Since his debut a decade ago, Cold Blue has enjoyed ever-greater acclaim with each year that’s passed. Those still awaiting an album debut can take in-lieu-of solace with what the man from Mainz has lined up. He binds no less than fourteen of his tracks and mixes into a beautifully arranged and thrillingly structured dive into the Blue. Among them are recent singles ‘Speed of Life’, ‘The Clash’, ‘Once In Time’ and ‘On The Outside, as well as current hit ‘Learning To Live’. There’s also a raft of his most recent remixes, expanding the floor reach of Lowland, Alex Di Stefano, David Forbes and others. Premiere material abounds too, with hot-off-the-desk exclusives like ‘Before We Leave’, ‘The Wave’, ‘A New Spirit’ and ‘Daylights’. 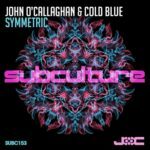 “Subculture mixed by John O’Callaghan & Cold Blue” is out on February 23rd 2018! 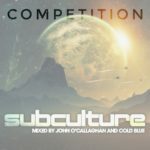 Competition: Win a copy of “Subculture mixed by John O’Callaghan & Cold Blue”! 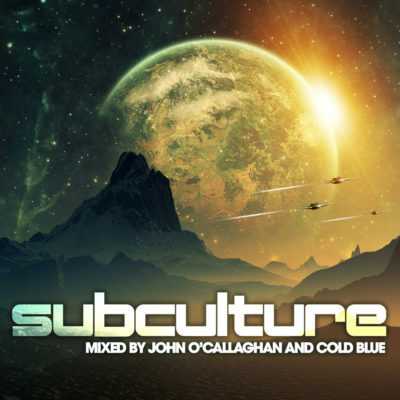 Tagged Cold Blue, John O'Callaghan, Subculture.